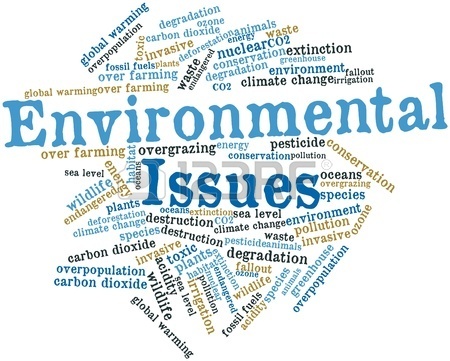 Environmental issues are harmful effects of anthropogenic activity on the biophysical environment. As our environment is constantly changing due to massive influx of natural disasters, warming and cooling periods, different types of weather patterns etc, there is the need to aware the problems that surround it. There are several issues related to environmental issues such as Global warming, Deforestation, Air and water pollution, Overpopulation, Soil erosion, Other climate change issues, Destruction of biodiversity, Littering, Destruction of natural habitats, Destruction of natural resources, Attack of marine life, Oil spills, Nuclear issues, Acid deposition, Environmental disasters, Volcanic eruption, Greenhouse effect, Heavy metals, Sea level rise, Burning of fossil fuels, Species extinction, Soil contamination etc.